Certain minor surgical procedures such as removal of cysts and treatment of warts can be performed by the doctor quickly and comfortably in the fully equipped treatment room. Appointments are arranged in consultation with your doctor. Monitoring clinics are held by the practice nurse to provide care of patients on Warfarin medication. 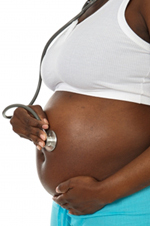 Full antenatal and postnatal care is provided by all the doctors in the practice. The midwife also runs an antenatal clinic in the practice. Your doctor is happy to offer advice on all aspects of family planning and contraceptive services. Cancer of the cervix can be prevented and all female patients between the ages of 20 and 65 are advised to have regular smear tests. 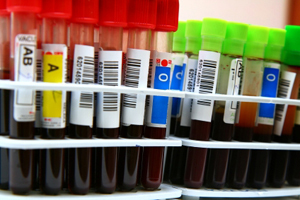 These tests are important because they can detect early signs of the disease which is then easily treated. Please contact reception to make an appointment. If you are offered an appointment but unable to attend, please advise us so we can offer this appointment to someone else. Tetanus and Polio - all adults should ensure they have had a tetanus and polio booster in the last 10 years. 'FLU' Vaccinations - are available each autumn for those patients who are elderly or at risk due to certain medical conditions such as asthma, diabetes, kidney disease or heart trouble. 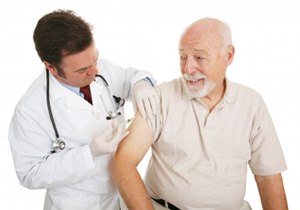 Those patients who have attained the age of 75 years of age and over may request a health check. For those patients unable to attend the surgery this check can be carried out at the home of the patient if the doctor thinks this would be more appropriate, due to the patient's medical condition. We have developed this clinic to assess children as they grow, to protect and immunise them against disease and to offer parents encouragement and advice. The doctors share this clinic with the health visitor and practice nurse. These clinics are run by our fully qualified nurses, in conjunction with the doctors. Patients, both adults and children, are referred to this clinic for appropriate education, advice and supervision of treatment. 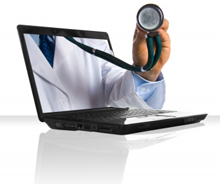 The clinic also provides individual management plans where appropriate and follow-up care. An appointment can be made at reception. This clinic is run by appointment with our fully qualified diabetic nurse, in conjunction with the doctors. Patients are referred to this clinic to obtain appropriate education and advice, to help maximise their effective control and reduce the risks of any complication associated with diabetes. A dietitian is also in attendance at the clinic and patients are referred to the chiropodist as appropriate. This clinic is run by appointment with our fully qualified nurses, in conjunction with the doctors. Patients attending this clinic receive appropriate education, advice and supervision of their treatment in order to reduce the risks of further heart problems. 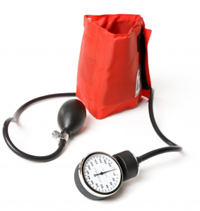 Patients with hypertension require to have their blood pressure measured regularly at least every six in order to reduce the risk of developing other serious disease. Appointments are arranged with the practice nurse or at a BP clinic which is held at various times with our Practice Pharmacist. To make an appointment please contact reception. This service is available to all and aims to provide a general health screen, in particular looking for coronary heart disease risk factors. We strongly advise our patients to have regular check-ups for lifestyle, weight and risk factor analysis and measurement of blood pressure (recommended at least every five years after age 30). Advice on self examination is also provided as appropriate. If you require any vaccinations relating to foreign travel, a full travel advice and vaccination service is available at MASTA clinics The nearest MASTA Clinic is in Kerrsland Surgery - Newtownards Road Belfast.To make an appointment telephone 02890 90657138. Evening appointments are available if required. Please telephone 02890 421880between 2.30pm and 5.30pm to enquire about your test results as our reception staff will have more information and time to deal with your request between these times. Note that the practice has a strict policy regarding confidentially and data protection and we will only release certain test resluts to the person to whom they relate unless that person has given prior permission for the release of this data or they are not capable of understanding the results. When you have your test taken you will be told how long it will be before the results are returned to the practice. It is your responsibility to check any information or messages regarding your results and to make an appointment to discuss them with the doctor if you are advised to do so. Certain services are not available on the NHS-e.g. private medicals, travel cancellation forms, BUPA forms etc. A fee is payable and a list of charges is displayed in Reception.